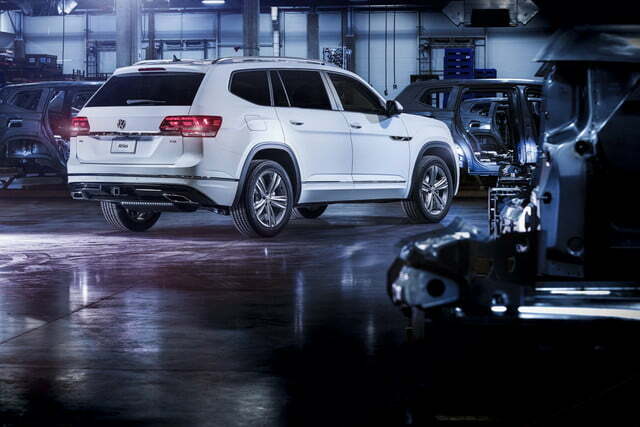 When it comes to performance, big seven-seat SUVs usually sit at the back of the pack. 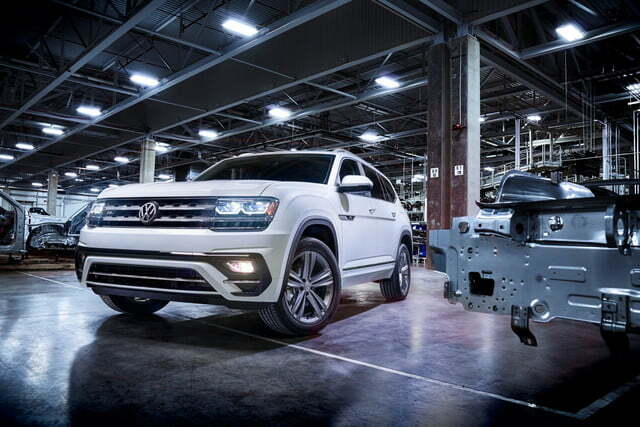 But Volkswagen is trying to at least create the appearance of sportiness with a trim package for its new 2018 Atlas family hauler. 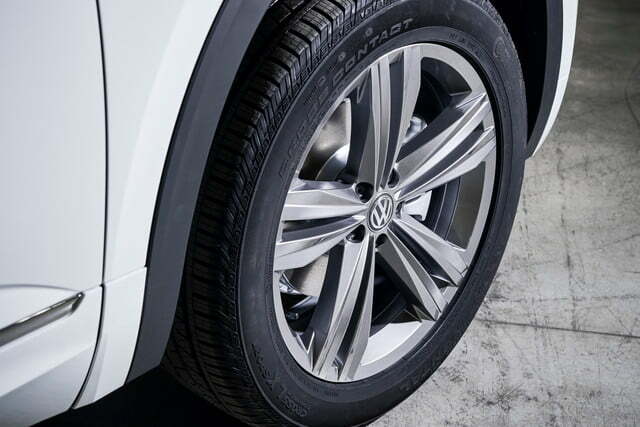 The Atlas will get an R-Line package similar to the ones already offered on other VW models. 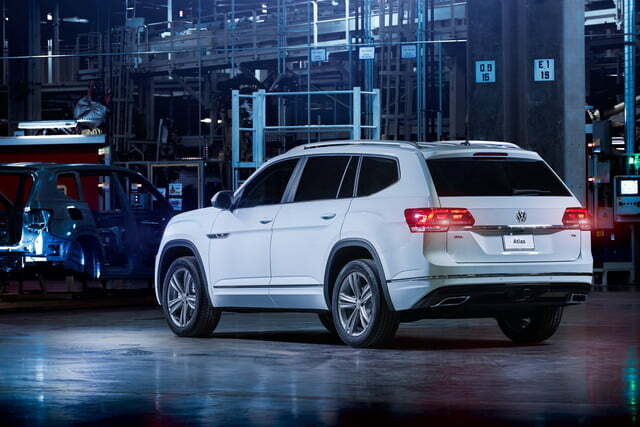 Making its public debut next week at the 2017 Detroit Auto Show, the Atlas R-Line doesn’t get any real performance upgrades, just some styling changes to make gearhead owners feel less bad about trading in their GTIs for one of these tanks. 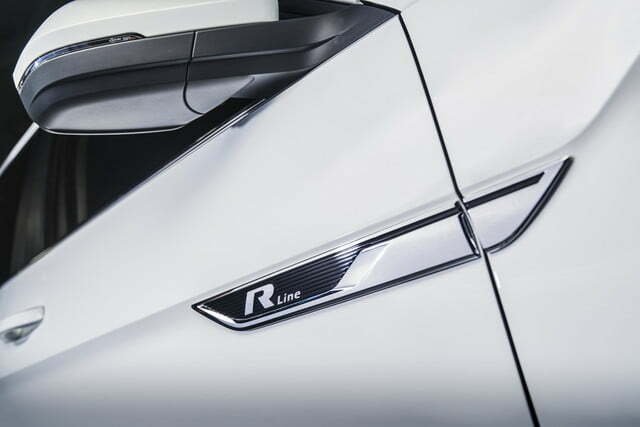 The R-Line package adds model-specific 20-inch alloy wheels, R-Line badging, special front and rear bumpers that incorporate air intakes at the front and a diffuser at the rear (both likely fake), and side skirts. 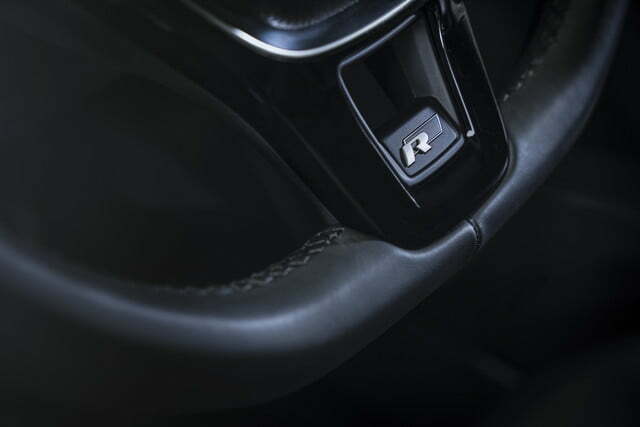 On the inside, the package adds an R-Line logo on the start screen of the MIB II infotainment system, an R-Line steering wheel clip, and stainless steel pedal covers. 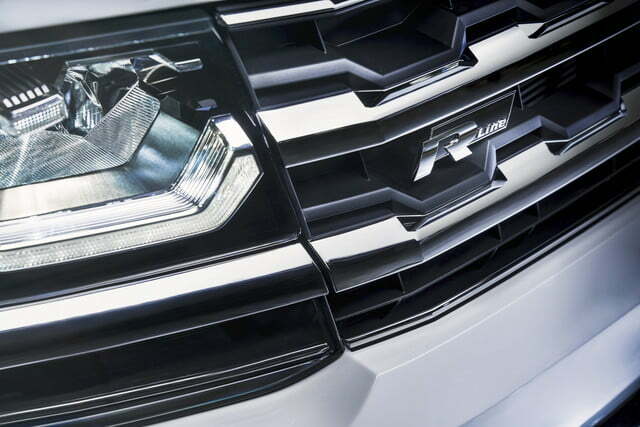 Buyers will be able to add the R-Line package to the Atlas SE and SEL trim levels, so the standard equipment from those models will be included as well (consult the order guide). 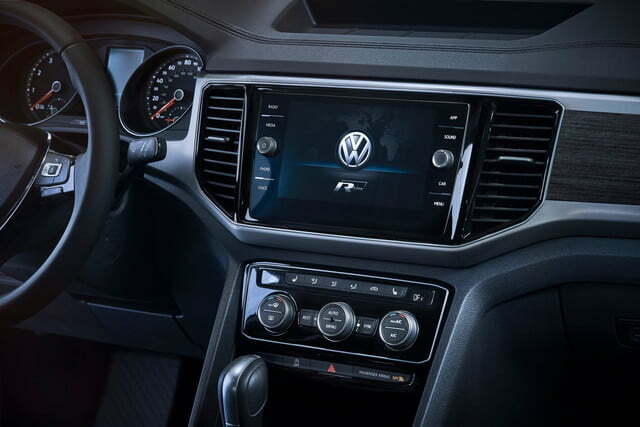 Some of the features that will be available when the Atlas launches later in 2017 include a Fender audio system, Apple CarPlay and Android Auto integration, and the Volkswagen Digital Cockpit reconfigurable dashboard display. The extra jewelry doesn’t come with any mechanical changes. 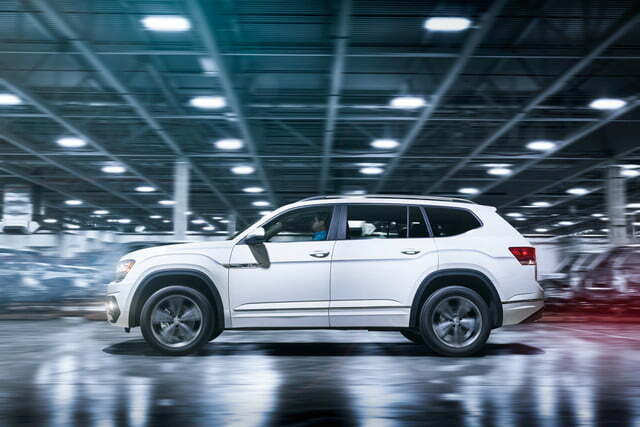 Like other versions of the Atlas, the R-Line will be offered with a 2.0-liter turbocharged four-cylinder developing 235 horsepower or a 3.6-liter VR6 with 276 horsepower. 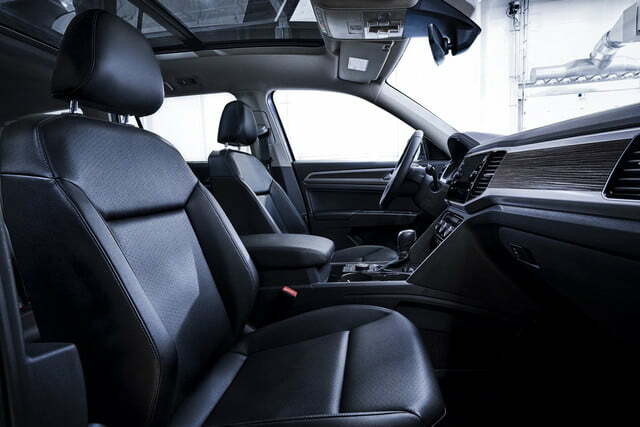 Both engines come with an eight-speed automatic transmission. 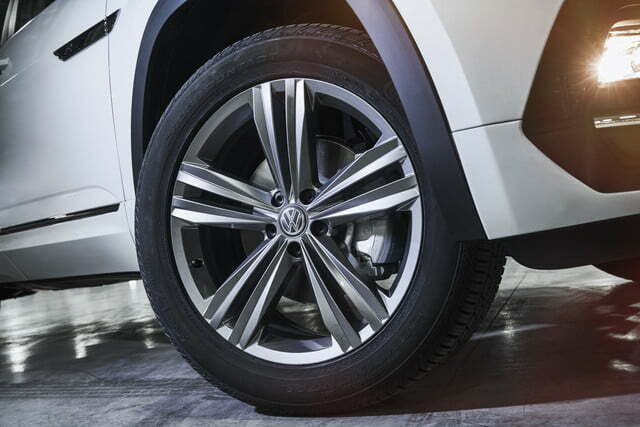 Front-wheel drive is standard, with all-wheel drive available on VR6 models. 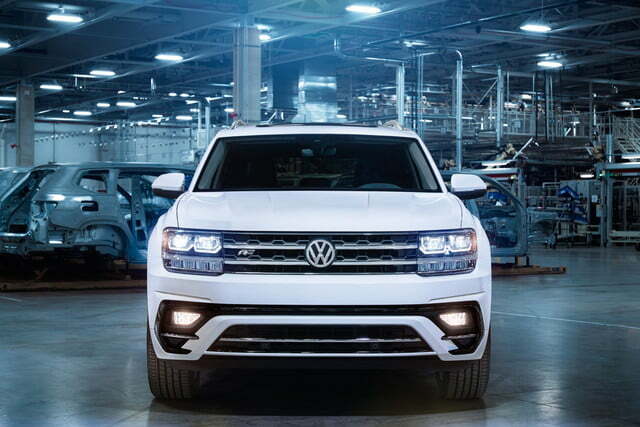 VW was likely planning a diesel model before that whole “Dieselgate” thing. 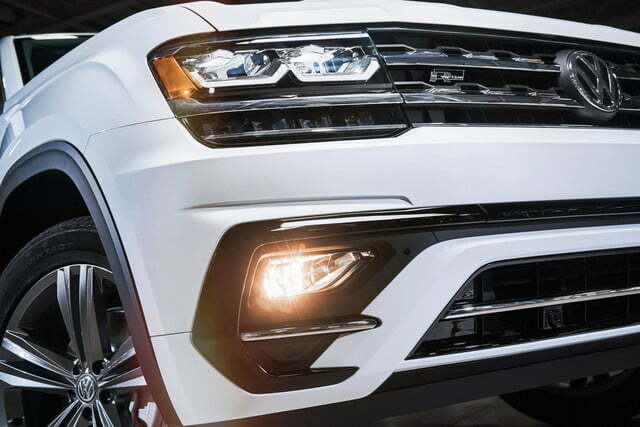 While most of the 2018 Volkswagen Atlas lineup goes on sale this spring, the R-Line won’t be available until later in the year. 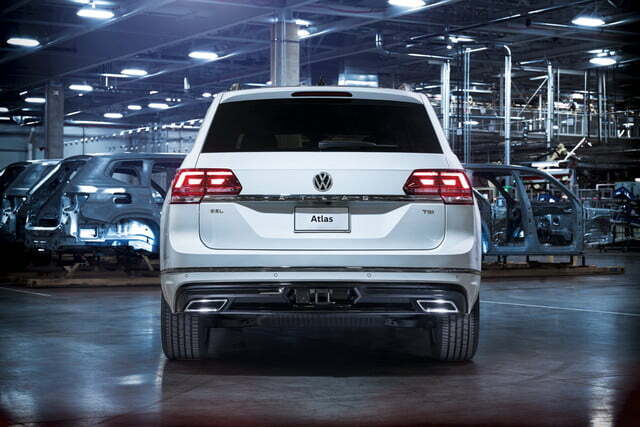 It may not be the most exciting vehicle, but the Atlas is very important for VW because it is tailored to the American market to a greater extent than any of its previous vehicles.